Looking downstream the Vrbas river in Bosnia-Herzegovina. A planned dam would endanger critical fish habitats and is being opposed by locals. We are passing through the canyon of the river Vrbas, in north-west Bosnia-Herzegovina. I am looking through a car window, mouth wide open in awe. While I look up to the rocky, edgy peaks hundreds of meters above and down to the heavenly blue river, I am wondering why anyone would want to dam this river, flood the canyon and destroy its beauty. Fortunately, the plans to flood the Vrbas canyon are stalled for now. But further upstream on the same river in central Bosnia, north of the towns of Donji vakuf and Bugojno, the Babino Selo dam (pdf) is promoted as one of the priority hydropower projects of Elektroprivreda BiH, the state-owned electric utility. The 100 meter-wide, ten meter high dam is being considered for a 40 million EUR loan from the European Bank for Reconstruction and Development (EBRD). 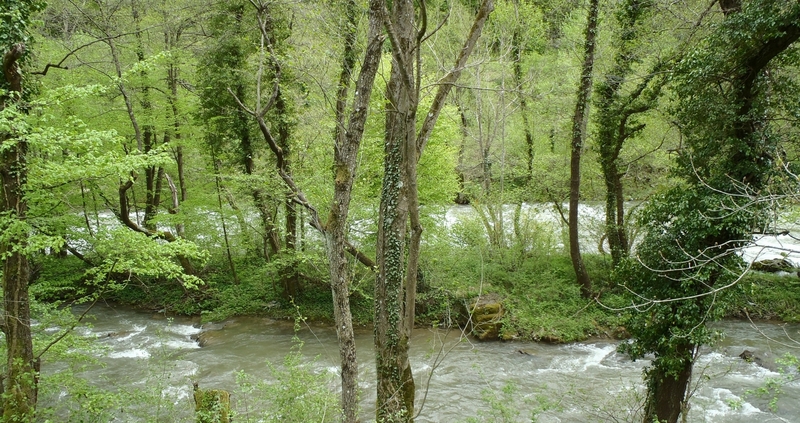 The river Vrbas in the area of the planned dam. Local anglers (recreational fishermen who use rod and line) are furious. “It is an atom bomb for the Vrbas”, one of the representatives of the local angling associations from Donji Vakuf and Bugojno exclaims. The anglers are emotional, but they have a good reason – they say the existing hydropower plants at Jajce and Bočac have already cut down migratory routes for some of the important fish species. 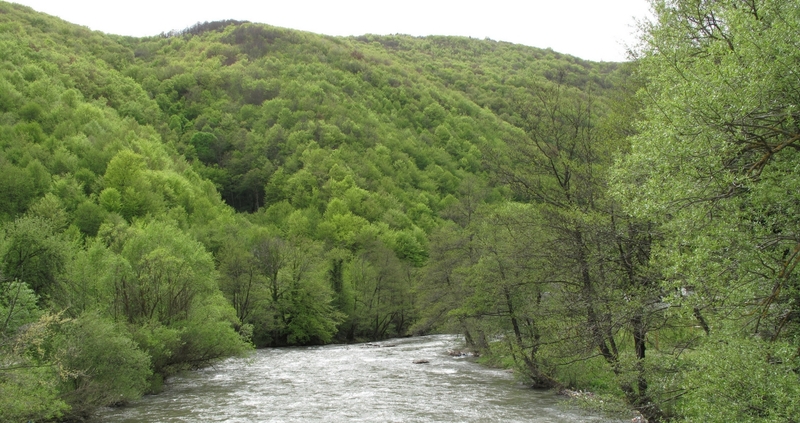 This section of Vrbas still is a critical habitat for huchen (Danube Salmon), classified as endangered by the IUCN, as well as a spawning ground for the grayling. A formal public consultation was held in the Municipality of Donji Vakuf in April 2016. Both anglers and community representatives were present and voiced their opposition against the project. Communities were not able to learn where the planned reservoir ends and whose households would be flooded. The promoter says that the impact assessment study (pdf) is preliminary, which is true, but why haven’t the people impacted by the plans heard any updates for more than a year? 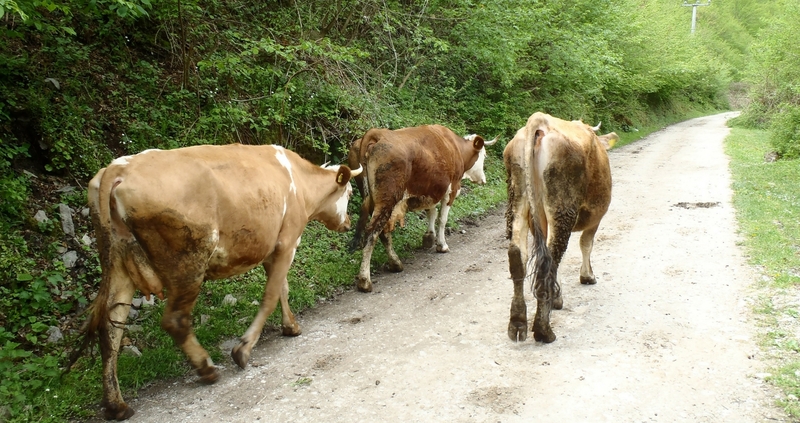 The Vrbas canyon where the dam is planned was a route of the now defunct Austro-Hungarian railway track. Back then, the steam locomotive was cooled with the help of streams running down the sides of the canyon. Their water is now being used for watering livestock and crops. The people in the valley are friendly. But they are puzzled by the confusing information from the project promoters and consultants who were hired to survey their properties. They don’t know any details about the project or about potential livelihood restoration. This is their land, the river along which they grew up, yet it seems that they have the least influence on what it is going to happen. 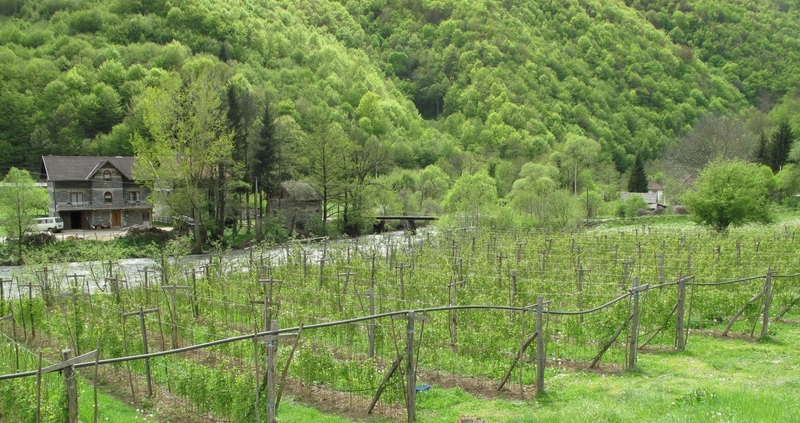 Raspberry fields along the Vrbas river. While we are leaving the valley via the wooden bridge that was destroyed in floods in 2010 and then rebuilt, I think of the 300 other hydropower plants planned to be built in Bosnia-Herzegovina. Most of them would have an installed capacity below 10 MW. Is it really worth ruining one of the best preserved waterways in Europe for such minor energy gains? I hope that Bosnia-Herzegovina’s officials and international lenders such as the EBRD stop seeing money in the wild and scenic rivers of the Balkans. With thanks to the Center for Environment, Banja Luka, and Eko-Element, Bugojno, for their valuable assistance in organising the visit.